Access Nigeria in collaboration with the World Bank have concluded arrangement for a two (2) day National Jobs Fair. The fair commences on Thursday, September 13, 2012 at the National Theater, Iganmu, Lagos. The event will serve as a platform for organizations and potential employers to recruit young, skilled and competent employees into their workforce. 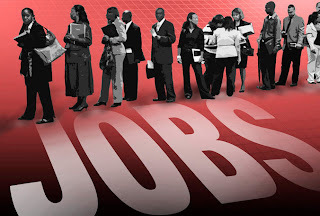 A broad range of employers from various sectors of the economy such as Information & Communication Technology (ICT), Telecommunications, Banking, Insurance, Private Sector, Media, etc. are expected to participate at the event. Organizations and potential employees are encouraged to register for the job fair at www.anjims.org. Interested applicants are expected to register and attend the Fair with their curriculum vitae. Registration and attendance is FREE for interested employers and candidates. During job fairs, employers assess candidates quickly based on appearance, communication skills and first impression. Make sure your appearance sends the right message. I advise you to use the following links to ensure you take an effective CV along. All the best!